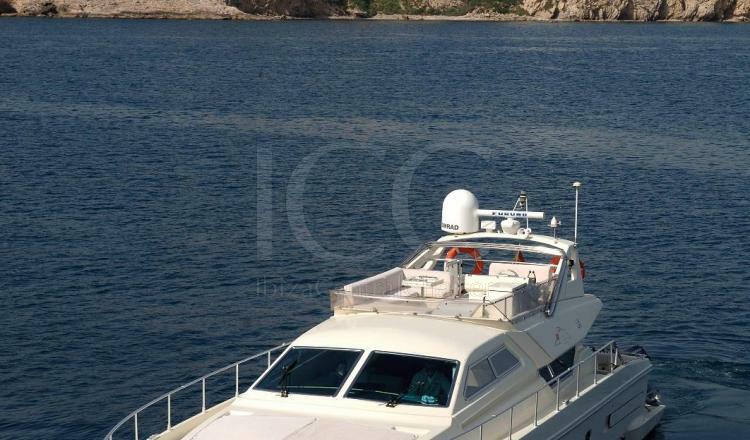 Ferretti 175, a classic yacht built in 1995 in perfect condition with which the nautical holidas will become a dream come true. 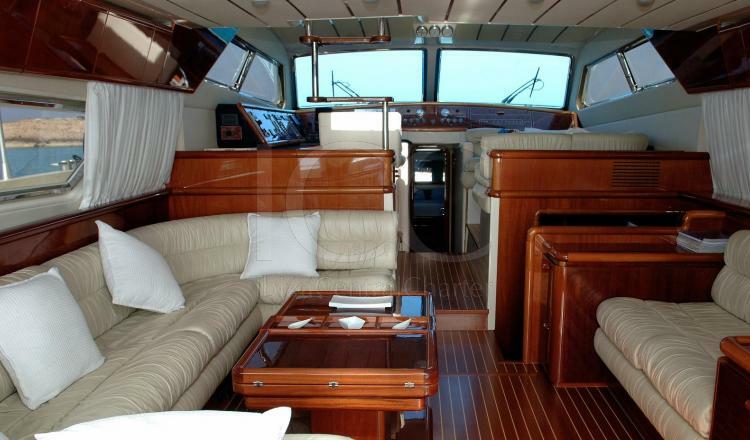 The Ferretti 175 is a classic yacht born in 1995 of almost 20 meters in length. Navigate the Pitiusas Islands lightly and comfortably guaranteeing an exceptional holiday to your guests. It offers a spacious living room with a large sofa ideal for recharging under a rigid roof with side windows that facilitate the entry of natural light. 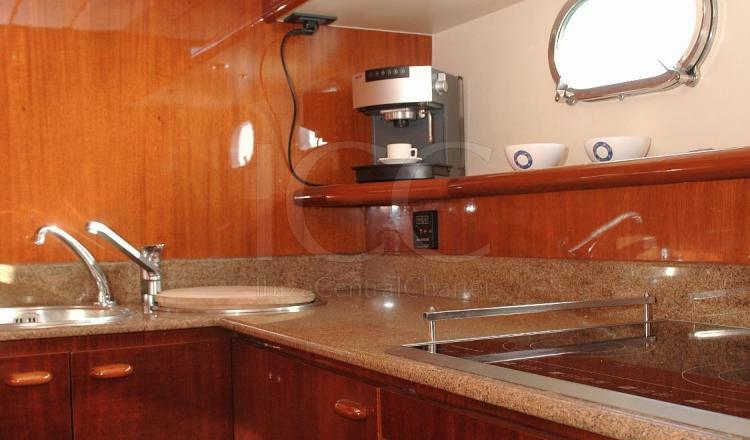 From the living room you can access the interior of the boat that is equipped with a complete kitchen (with oven, ceramic hob, sink and coffee maker). 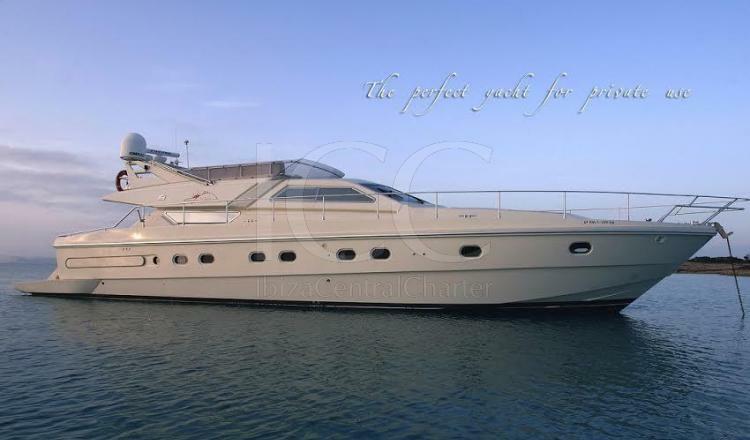 Its interior has a luxury design combined with large spaces with the capacity to offer room for 10 passengers during a day of charter. 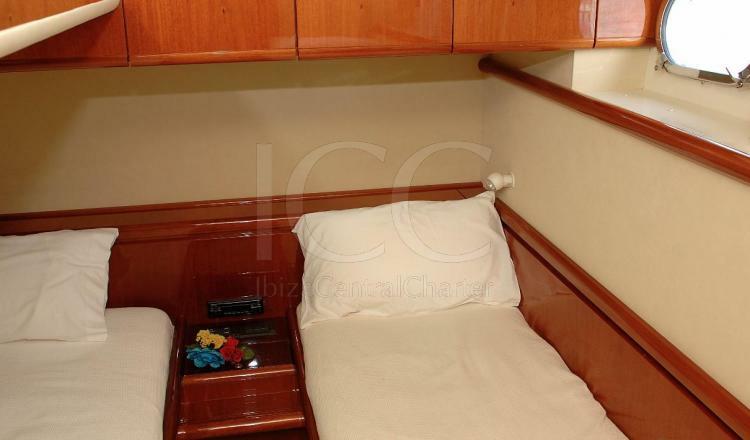 However, it has three very comfortable double cabins, all with a fully equipped independent bathroom, to accommodate up to 6 guests during the night. Its outdoor areas are spacious and comfortable, ideal for spending time with family, friends or just relax contemplating our wonderful White Isle. 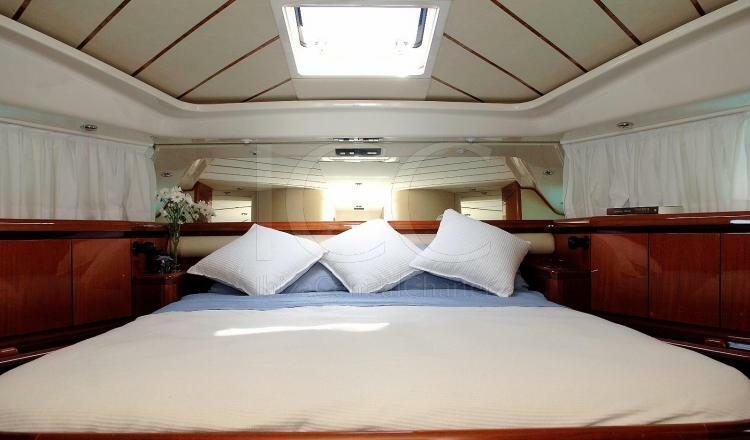 It has a solarium in the bow to sunbathe and a dinette located on the flybridge where to eat or dine outdoors or under the light of the stars. 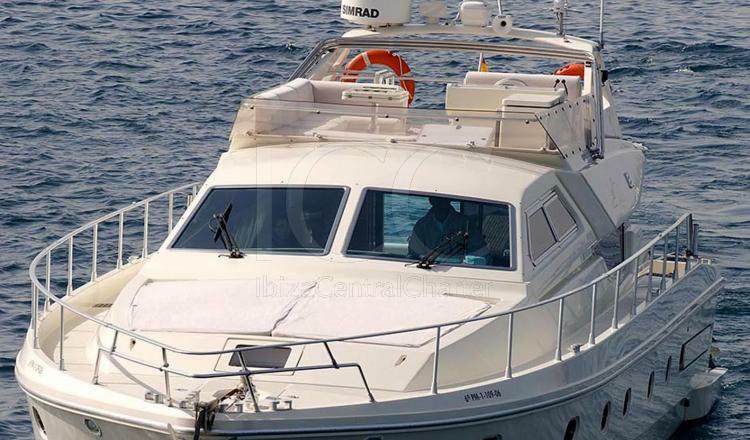 On board Lymani you will always be accompanied by the captain and sailor, who will make your nautical vacation or your charter day an experience worthy of being repeated. - Crew: skipper and sailor. 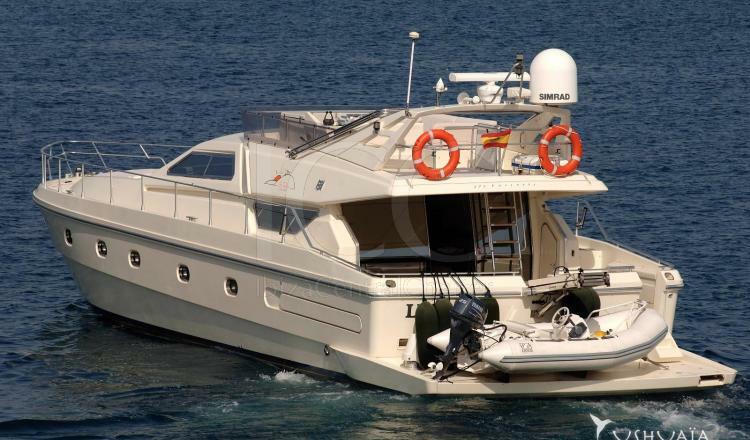 To formalize the reservation must make a payment of 50% of the total amount. The remaining 50% will be paid one month before the date of shipment.